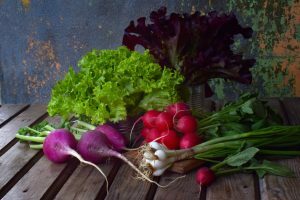 If you’re thinking of adding a new crop to your garden or farm before the next market season, then consider the many benefits that radishes bring. Do you farm for a CSA? If you’re thinking of adding a new crop to your garden or farm before the next market season, then consider the many benefits that radishes bring. These brightly colored vegetables will bring beauty to the landscape, along with having many uses in the kitchen. Do your research on which radish variety you want to start growing first. They grow fast and are incredibly nutritious when added to your diet and the diets of your future customers. Grab your tools and add radishes to your growing rotation to reap these fantastic benefits! Once you’ve planted your radishes, you’ll be ready to use them in the kitchen before you know it. The usual cycle for planting crops is about 55 to 120 days. Radishes, on the other hand, take about 30 to 40 days from when they’re planted to fully mature. This timeline, of course, depends on the time of year. Another benefit to growing radishes is that they don’t require much space to flourish. If you think your garden or farm is already packed to every corner, you probably still have just enough space to get your radishes going. They can be squeezed into beds and planted in successions. Because of their rapid growth and the minuscule space they require, it’s possible to plant too many. Therefore, successions are a great recommendation to planting radishes, in addition to harvesting them as other crops mature in the same bed. They may be pretty, but radishes are also very good for you. Adding radishes to your diet brings in an excellent source of vitamin C, fiber, copper, manganese, vitamin B6, and potassium. You’ll usually find them prepared raw and cut into salads or dipped in butter and salt. Some cooks also add them to coleslaw or sauerkraut and enjoy the spicy kick that they radish flavor can add to a meal. The germination of radishes occurs at high temperatures. When you combine this fact with the short amount of growth time, you can grow radishes all throughout the summer. Just ensure that they are adequately watered, using drip irrigation. In unusually hot summers, be sure to mist the greens to ensure that they remain crisp and tender. Even though they thrive in the summer, it is still possible to plant them and tend them throughout the entire year. This entry was posted on Friday, January 5th, 2018 at 2:57 pm. Both comments and pings are currently closed.